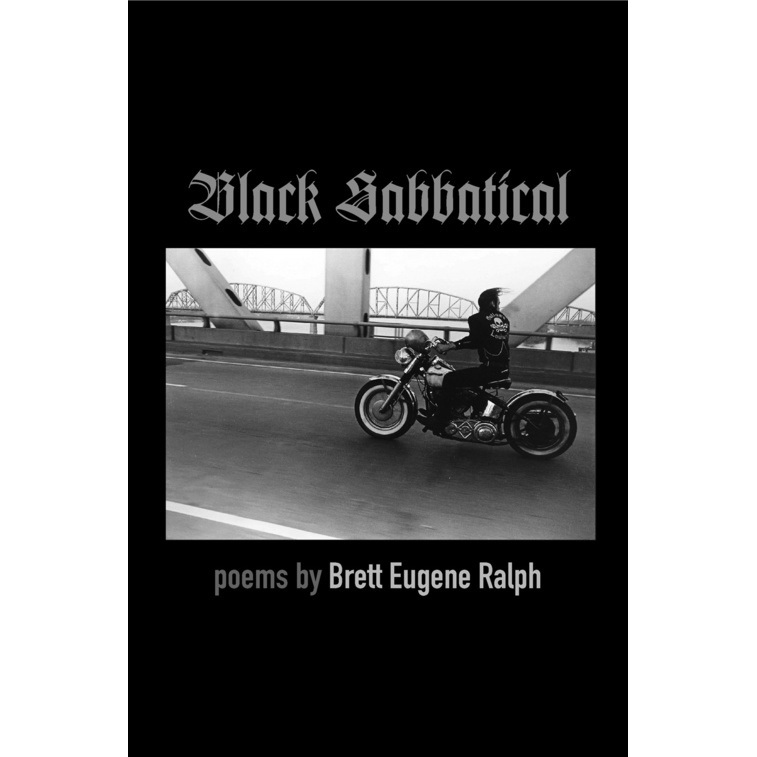 When asked about his influences, Brett Eugene Ralph points to three enduring sources: growing up Southern working class in the 1970s and 80s, playing in punk rock bands, and practicing Tibetan Buddhism. Not a likely combination for a poet, but one that has brought forth Black Sabbatical, a debut collection that sings with gutbucket colloquialisms, hallucinatory interludes, and the storytelling tradition of Kentucky. Riled and immediate, Ralph’s poems mark the sanctity of each given moment, however confusing or harrowing, to honor its singular beauty. A heightened lyricism, but one fraught with methamphetamine confessions, gurus disguised as donkeys and owls. The voice that booms from Black Sabbatical is of a seeker tearing the place apart, unafraid to see things for himself, to sing what he has seen, or to say what the long road that led here has cost him.